The bailout would come via the governor’s Public Service Commission that currently subsidizes the plant to the tune of $4 -million a month. The Tompkins County installation has two units that burn coal, and one that uses natural gas or oil depending on the market. David Schlissel, lead author in a report by the Institute for Energy Economic and Financial Analysis, says the Cayuga Plant simply isn’t viable. He says the Cayuga Plant is asking for 145-million dollars from rate payers to do upgrades and receive 10 more years of subsidies. The group is urging the state to take this opportunity to invest in renewable energy. The New York Public Service Commission has yet to whether or not it will continue subsidizing the plant. In 2012 the PSC rejected a request by the plant’s operators to shut down and asked for a plan to convert the plant entirely to natural gas. 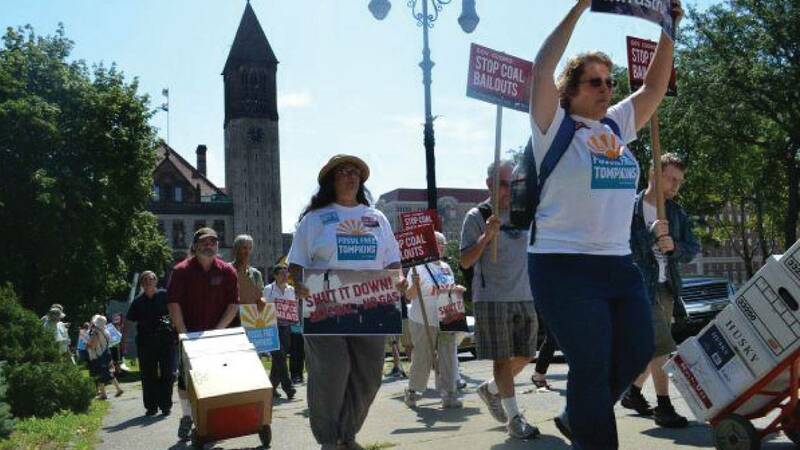 What is the future of New York's coal industry?